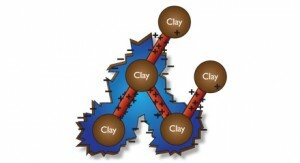 Coagulation is used in a number of industries ranging from mining to chemicals production. Its primary purpose is to reduce turbidity in process water. In coal processing a coagulant is added to clear any undesirable microscopic particles (clays etc.) from the process water and hence enables recirculation within the plant. 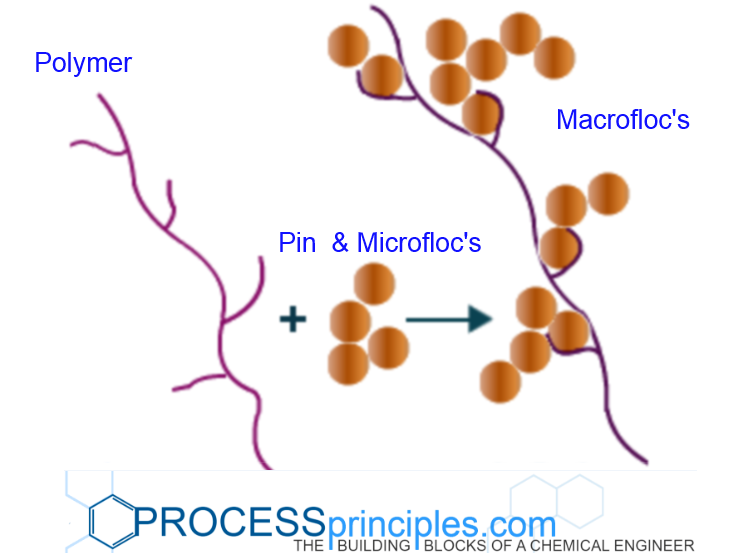 The fundamental purpose of coagulation is to destabilise the charge on suspended particles and add toughness as well as density to settling floc’s. The coagulants used are of the opposite charge to the suspended particles in the medium. Thereby making separation from the medium by mechanical or gravitational means possible. Since the repulsive forces between like charged particles are neutralised, the dispersed particles within the medium can interact and stick together. The resulting Microflocs are of a magnitude larger than the original dispersed particles. As the particles in the process fluid have become larger and less dispersed the fluid will appear clearer. A slight change in clarity or no change at all is generally the result of the particle’s charge not being neutralised. In this case either too little coagulant has been introduced, the incorrect type has been used and/or insufficient mixing has taken place. Before implementing a new coagulant into a system it is advisable to undertake extensive jar testing in the lab. This will ensure minimal process downtime and maximum efficiency when introduced. In order to achieve good coagulation it is necessary to introduce the coagulant at a point of high energy (rapid agitation). The best position for the coagulant feed is usually close to the agitator and about a meter under the surface. The highly turbulent fluid in this region promotes maximum molecular diffusion. Introducing the coagulant into an area of low activity will result in an incomplete step. It should be noted that over mixing of a coagulant is not possible. When possible a chamber for rapid mixing should be set up for the addition of coagulants and flocculants. To ensure maximum molecular diffusion and contact time, the coagulant should remain in the rapid-mixing chamber for no less than 1 to 3 minutes. Note: pH, alkalinity, temperature, retention time, settling velocity and zeta potential will also effect coagulation.